At Lishia Homes, we’ve worked to build a company that’s favorably positioned for your housing needs. Our Silver Spring, MD real estate company, under the direction of Jeanne and Frank Lishia, has kept pace and adapted to rapid growth and a changing economy while maintaining exacting standards and integrity. Please explore the resources within this website, and contact us with any questions or comments. As active, local agents in Silver Spring, MD, the DC Metro area and Virginia, we are available to address all of your real estate needs. Through our years of work in the industry and knowledge of both the areas we serve and needs of the community, we’re the group to trust with your search for houses for sale and rent in Silver Spring MD, the DC metro area, Maryland and Virginia. Please give us a call or send us an email when you are ready to visit some of the homes on the market or to schedule a free home-selling consultation. Our team at Lishia Homes is more than capable of finding you your dream house or helping you market the one you currently own. No matter your real estate needs, we look forward to working with you! Updated daily to let you view a comprehensive list of all homes on the market that meet your needs. This service by Lishia Homes is crucial for those looking for a place to live, in Silver Spring, MD, the DC metro area and Virginia; undeniable hot beds when it comes to property sales. By using our real estate services in Maryland, Virginia and the Washington metro area, you’ll have access to neighborhood demographics, schools, figures from the local economy and plenty of other information. 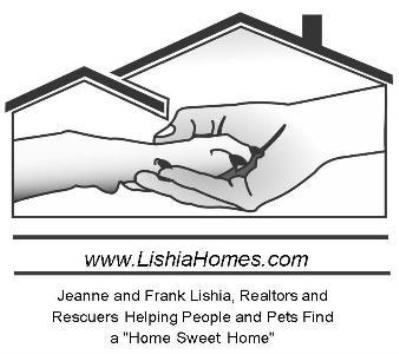 For more information on how we can help, we encourage you to contact Jeanne and Frank Lishia with any and all real estate-related questions or needs.